Despite the enormous success since the game's original Super NES incarnation, one of the only ways that fans have been able to play Secret of Mana in recent years has been through Nintendo's own Virtual Console support for various systems. 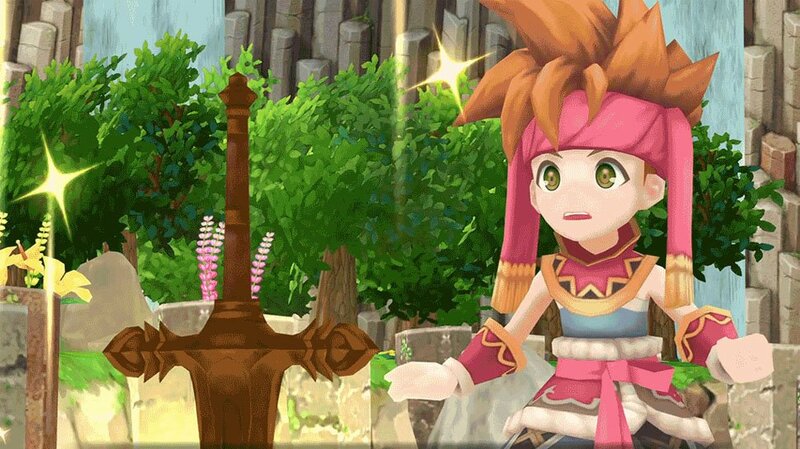 Given that fact, it's a little surprising that the new version of Secret of Mana, the remake of the now 24 year-old game, isn't landing on the Nintendo Switch -- and even more surprising that it will be landing on Sony's PlayStation Vita hardware. Well, there's a reason for that, and the explanation is a lot simpler than fans might have imagined. In a nutshell, the remake of Secret of Mana was underway before Nintendo announced the Switch. Speaking to Red Bull, Square Enix producer Masaru Oyamada said that the development team didn't expect that fans would be clamoring for the remake on Nintendo's latest hardware, nor do they know whether or not the game will ever land on the Switch. "Development for the title began before the Switch was announced," Oyamada said, "so it was definitely beyond our expectations to see the level of anticipation for the release on the platform grow this much. In terms of our current circumstance, we are unable to immediately state that this will become available on the Switch, but we hope to continue listening to the various requests from our fans." Fortunately, even if the game never comes to the Switch, Secret of Mana fans should have a nostalgia-filled adventure ahead of them. Oyamada says that the remake is designed to be as faithful to the original title as possible, and that the title's biggest features like remixed audio and voice acting are meant to round out the experience without deviating too far from the source material. "This remake is built on the idea of remaining faithful to the original game, so the arrangements also conform to the original music," Oyamada said. "We implemented English voices, but the game is also playable with Japanese voiceovers. Our international sales team was adamant about including both." Players won't have to wait long to return to the world of Secret of Mana, as the remade version of the game is slated to hit PlayStation 4, PlayStation Vita, and Windows PC systems next year on February 15. Looking to discover more great portable RPGs? You're in luck, as we've featured a number of our favorite RPG titles over on our list of the Best Handheld RPGs.